I am a Senior Research Scientist at Google’s Cambridge office (Massachusetts). I work on Artificial Intelligence and Computer Vision, using and developing tools from Machine/Deep Learning, including supervised learning, unsupervised/generative models, reinforcement learning and meta-learning. I currently focus on research for autonomous driving applications. From August 2013 to November 2014, I was a Postdoctoral Associate with Bill Freeman at MIT’s CSAIL Lab. In June 2013, I received my PhD from the Computer Science department at New York University , under the supervision of Rob Fergus. I was awarded a Microsoft Research PhD Fellowship for 2010-2011, a Dean’s Dissertation Fellowship for 2012-2013 from the Graduate School of Arts and Sciences and the Janet Fabri prize (2013-2014) for outstanding dissertation in Computer Science. Co-organizing ICML 2019 workshop, Understanding and Improving Generalization in Deep Networks, with Peter Bartlett and Dawn Song (UC Berkeley), Nati Srebro (TTIC/Google), Hossein Mobahi (Google Research) and Behnam Neyshabur (NYU). Y. Jiang, D. Krishnan, H. Mobahi and S. Bengio, Predicting the Generalization Gap in Deep Networks with Margin Distributions. To appear at ICLR 2019. Building on our previous large margin work, we show that using margin distributions at all layers of a deep network is a powerful predictor of generalization for the CIFAR-10 and CIFAR-100 datasets, doing significantly better than other generalization bounds published in the literature. G. Elsayed, D. Krishnan, H. Mobahi, K. Regan and S. Bengio. Large Margin Deep Networks for Classification. Presented at NeurIPS 2018. 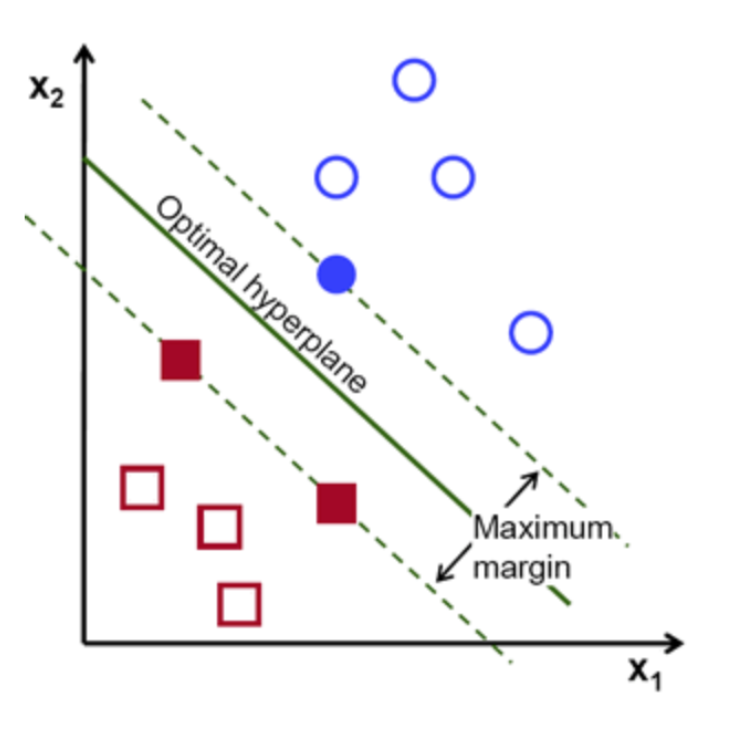 We extend the concept of margin, used in Support Vector Machines, to deep networks, allowing for margin at input, hidden or output layers of the network. The resulting models show promising results for generalization, learning from noisy labels and robustness to adversarial examples. T. Dekel, C. Gan, D. Krishnan, C. Liu, W. T. Freeman. Sparse, Smart Contours to Represent and Edit Images, CVPR 2018. We use Generative Adversarial Networks (GANs) to learn the reconstruction of images from sparse contour information, with applications in editing. D. Mané, D. Smilkov, D. Krishnan, D. Fritz, F. Viégas, J. Wexler, J. Wilson, K. Wongsuphasawat, M. Wattenberg. TensorFlow Graph Visualizer: Drawing Dataflow Graphs of Deep Learning Models. IEEE VAST 2017, Best Paper Award. Y. Ovadia, Y. Halpern, D. Krishnan, J. Livni, D. Newburger, R. Poplin, T. Zha and D. Sculley. Learning to Count Mosquitoes for the Sterile Insect Technique, KDD 2017. F. Cole, D. Belanger, D. Krishnan, I. Mosseri, A. Sarna, W. T. Freeman. Face Synthesis from Facial Identity Features, CVPR 2017 (Spotlight). K. Bousmalis, N. Silberman, D. Dohan, D. Erhan, D. Krishnan. Unsupervised Pixel-Level Domain Adaptation with Generative Adversarial Networks, CVPR 2017 (Oral presentation). Presentation video. This paper by Apple Inc., received a Best Paper award at CVPR 2017, with an idea and technique very similar to that presented by us. The differences in our papers are in the specific datasets used and applications considered, and some specific aspects of the GAN optimization. Y. Ovadia, Y. Halpern, D. Krishnan, J. Livni, D. Newburger, R. Poplin, T. Zha and D. Sculley. Learning to Count and Classify Mosquitoes for the Sterile Insect Technique, NIPS 2016 Machine Learning for Healthcare Workshop. K. Bousmalis, G. Trigeorgis, N. Silberman, D. Krishnan and D. Erhan. Domain Separation Networks, NIPS 2016. P. Isola, D. Zoran, D. Krishnan and E. H. Adelson. Learning Visual Groups from Co-occurrences in Space and Time, ICLR (Workshop Paper) 2016. D. Zoran, P. Isola, D. Krishnan and W. T. Freeman. Learning Ordinal Relationships for Mid-Level Vision, ICCV 2015. Y. Shih, D. Krishnan, F. Durand and W. T. Freeman. Reflection Removal using Ghosting Cues, CVPR 2015. MIT News profile of our work. D. Zoran, D. Krishnan, J. Bento and W. T. Freeman. Shape and Illumination from Shading using the Generic Viewpoint Assumption, NIPS 2014. P. Isola, D. Zoran, D. Krishnan and E. H. Adelson. Crisp Boundary Detection Using Pointwise Mutual Information, ECCV 2014. D. Krishnan, J. Bruna and R. Fergus. Blind Deconvolution with Non-local Sparsity Reweighting, ArXiv, June 2014. D. Eigen, D. Krishnan and R. Fergus. Restoring An Image Taken Through a Window Covered with Dirt or Rain, ICCV 2013. D. Krishnan, R. Fattal and R. Szeliski. Efficient Preconditioners for Laplacians Arising in Computer Graphics and Computational Photography, SIGGRAPH 2013. D. Krishnan, R. Szeliski. Multigrid and Multilevel Preconditioners for Computational Photography, SIGGRAPH Asia 2011. D. Krishnan, T. Tay, R. Fergus. Blind Deconvolution using a Normalized Sparsity Measure, CVPR 2011. M. Zeiler, D. Krishnan, G. Taylor, R. Fergus. Deconvolutional Networks, CVPR 2010. D. Krishnan, R. Fergus. Fast Image Deconvolution using Hyper-Laplacian Priors , NIPS 2009. D. Krishnan, R. Fergus. Dark Flash Photography, SIGGRAPH 2009. D. Krishnan, Q. V. Pham, A. Y. Yip. A primal-dual active-set algorithm for bilaterally constrained total variation deblurring and piecewise constant Mumford-Shah segmentation problems, Advances in Computational Mathematics. Published Online, September 2008. D. Krishnan, P. Lin, A. Y. Yip. A primal-dual active-set method for non-negativity constrained total variation deblurring problems, IEEE Transactions on Image Processing, 16(11), pp. 2766-2777, November 2007. D. Krishnan, P. Lin, X. C. Tai. An efficient operator-splitting method for noise removal in images, Communications in Computational Physics, 1(5), pp. 847-858, October 2006. D. Krishnan, M. N. Chong, S. Kalra. On the computational aspects of Gibbs-Markov random field modelling of missing data in image sequences, IEEE Transactions on Image Processing, 8(8), pp. pp. 1139-1142, August 1999. S. Kalra, D. Krishnan, M. N. Chong. A MRF based model based scheme for accurate detection and adaptive interpolation of missing data in highly corrupted image sequences, IEEE Conference on Image Processing, 1999. M. N. Chong, D. Krishnan. An edge-preserving MRF model for the detection of missing data in image sequences, IEEE Transactions on Signal Processing, 5(4), pp. 81-83, April 1998. Methods, computer-accessible medium and systems for facilitating dark flash photography. System, method and computer-accessible medium for restoring an image taken through a window. Co-founder and CTO of Nirvana Digital, later acquired by Black Magic Designs. Nirvana Digital developed Revival, a film and video restoration system, now used in post-production companies worldwide. Consultant to MADBITS LLC, developing deep learning algorithms for image classification. Acquired by Twitter. Angel investor in stealth mode autonomous driving startup. Consultant to stealth mode deep learning startup in the produce/agriculture space. IEEE Computer Vision and Pattern Recognition (CVPR). IEEE Transactions Pattern Analysis and Machine Intelligence (PAMI). ACM Transactions on Graphics (SIGGRAPH) and SIGGRAPH Asia. Journal for Visual Comm. and Image Representation (JVCI). European Conference on Computer Vision (ECCV). Efficient Preconditioning for Laplacian Matrices. Microsoft Research, Cambridge, England, January 2014. Invited Talk – Fast Image Deconvolution Using Hyper Laplacian Priors. Group Meeting of Fredo Durand’s graphics group, MIT (CSAIL), October 22, 2010. Invited Talk – Dark Flash Photography and Fast Image Deconvolution Using Hyper Laplacian Priors. Rick Szeliski’s Interactive Visual Media Group, Microsoft Research, Seattle, December 3, 2009. Dark Flash Photography. SIGGRAPH 2009, New Orleans, August 7, 2009. Dark Flash Photography. Group meeting of Laboratory for Computational Vision, NYU, May 28, 2009. Dark Flash Photography. Group meeting of Bill Freeman’s Vision Group, MIT (CSAIL), May 19, 2009. Dark Flash Photography. Graphics Seminar, NYU, May 8, 2009.